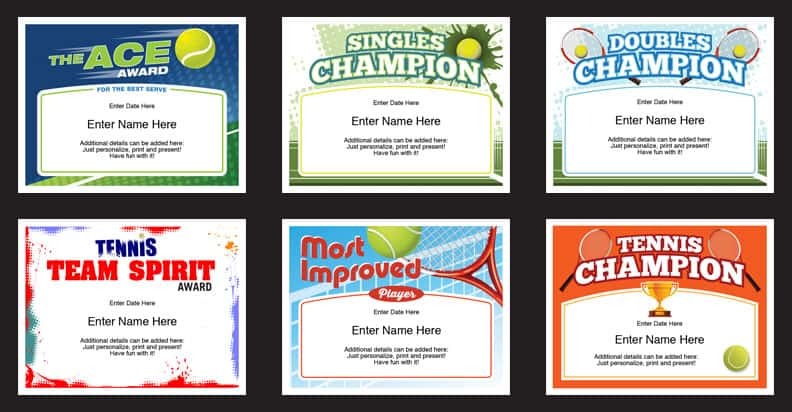 Tennis Certificates Templates – Does your child play tennis? Do your kids play on a tennis team? Or, maybe do you plan in an adult tennis league? Or, perhaps you’re a tennis coach or a tennis instructor? Whatever the case, we have some award certificates that we think you’ll love. Pick the certificate that you’d like to award. Personalize it with name, coach’s name, date, record, accomplishments and words of encouragement. Use the text fields. These contemporary designs look fantastic on bedroom walls, office cubicles, bulletin boards, and on the family fridge. Great for season banquets for middle school and high school tennis teams. Tennis players love them, and you’ll love awarding them. Everyone loves a little recognition. Just ask this tennis ball boy in this video clip. With purchase, you’ll receive a link that will enable you to instantly download the PDF file featuring these 6 certificates. PDFs work on Macs and PCs. Just make sure you have the latest version of Adobe Reader (which is available for free). Personalize with name, date, and other details into the text fields. Then, print and present. It’s that easy! With the certificates personalized and each field printed, these certificates are designed for display and look polished and professional. Some tennis slogans might look nice on these awards. These Certificates are an inexpensive way to show tennis players that you care. Use them year-after-year and make an event out of awarding the certificates. It’s not just what’s on paper, but also what you say. These are great keepsakes that recipients will treasure for years to come. You might consider including a nice quote or slogan on your certificates. 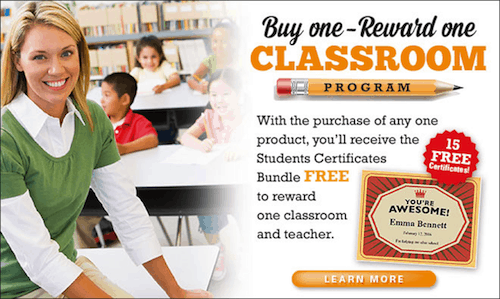 Purchase these Certificates Templates, and receive the Classroom Bundle FREE!